Home Green Clean Auto Spa is Environmentally Friendly! Green Clean Auto Spa is Environmentally Friendly! 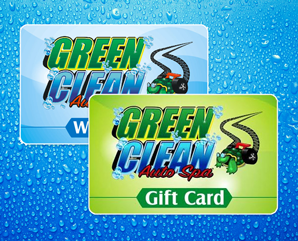 You'll enjoy premium care for astonishingly low prices at Green Clean Auto Spa - and we're eco-friendly! Your car will look its best because we use only the best. Our soaps and waxes are biodegradable and we have the most environmentally friendly car wash facilities in the area. We actively capture, treat, and process water previously used in the wash cycle for future usage. The shine you get on your ride will make you happy and your friends envious.